This book is a ROS robot programming guide based on the experiences we had accumulated from ROS projects like TurtleBot3, OpenCR and OpenManipulator. We tried to make this a comprehensive guide that covers all aspects necessary for a beginner in ROS. Topics such as embedded system, mobile robots, and robot arms programmed with ROS are included. For those who are new to ROS, there are footnotes throughout the book providing more information on the web. Through this book, we hope that more people will be aware of and participate in bringing forward the ever-accelerating collective knowledge of Robotics Engineering. College students and graduate students who want to learn robot programming based on ROS (Robot Operating system) and also for professional researchers and engineers who work on robot development or software programming. We have tried to offer detailed information we learned while working on TurtleBot3 and OpenManipulator. 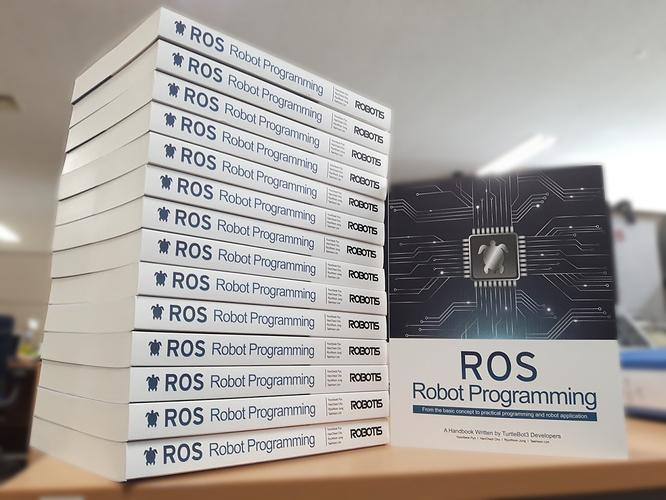 We hope this book will be the complete handbook for beginners in ROS and more people will contribute to the ever-growing community of open robotics.